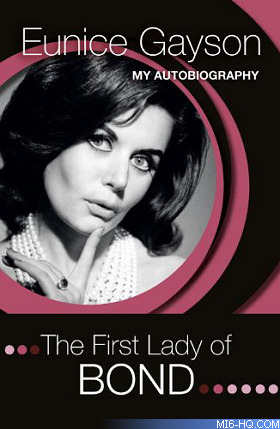 I have just purchased Eunice Gayson’s autobiography. I remember her from the fifties more so for her occasional appearances on the BBC TV panel game Whats My Line – although why I remember this I’m not sure because she didn’t appear in that many of them. She did seem to be in BBC TV drama a lot in those days and was in a number of films from the late forties onwards. However there is one particular story that should be told – her meeting – face to face – with Howard Hughes. The film she had starred in along with Victor Mature had had its premiere in New York – and a very successful one at that – and probably, because of the film, she was featured in a big American magazine in an article headed ‘the most beautiful Engish actresses’ and not long after she was approached by an American man after a performance of the play she was in, asking if she had ever heard of Howard Hughes. Of course she had and he promptly asked her to ask her agent to ring a specific Hollywood number. From the subsequent call, she accepted a free trip to meet Hughes in Hollywood. She was flown over there in a special private section of the plane and put up in luxury in Hollywood. When eventually she did meet him at his office she describes him as ‘this rather emaciated man dressed in what looked like an all-in-one cotton suit, sporting a very bushy beard with very long nails. But far from looking as he sounds, he was actually quite well groomed; weird looking but well groomed’. He then said ‘ Good Evening Miss Gayson. 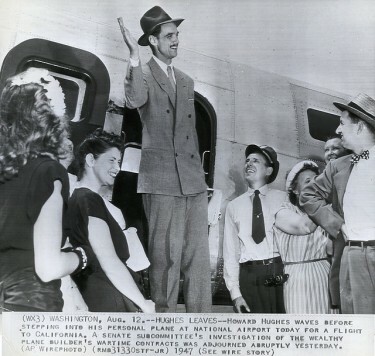 I’m Howard Hughes and I have been looking forward to meeting you.’ She asked if he had a specific film part for her but he didn’t have exlaining that this was just a general meeting. Eunice was aware that Anita Eckberg had signed up with RKO which Howard Hughes owned, and then she had virtually disappeared from the public eye. She then told him that she was tired and needed to retire. After this she seemed to be escorted around Hollywood by various ‘minders’ and would have been treated to almost anything she wished for but she did not latch on to this at all. Then it was made known to her that Hughes wanted her to sign a long term film contract. She told his secretary that she was unsure. She phoned her agent and he explained that she would be a millionaire within 18 months if she accepted but she was still wary and was uncomfortable and wanted to return home to England. This proved more difficult than she had imagined as she seemed to be chaperoned by the Howard Hughes organisation wherever she went although she tried to escape through all sorts of ways including the laundry shute from her hotel. When all else failed she got permission to stay with her aunt in New York who was troubled by these events, and managed to get her to the airport to fly home. Even then there was a considerable worry because the airline was TWA – owned by Howard Hughes. This, to me, nearly coincides with another seemingly unrelated story – but I wonder. 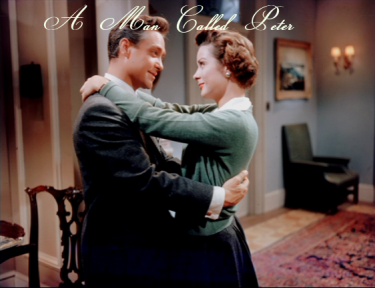 Around this time, or actually a little before this, Richard Todd had flown to the USA to make the film ‘A Man Called Peter’ and his co-star was Jean Peters. However he said that he never seemed able to meet her or have any social time with her for the whole eight to ten weeks or so. She had flown in just before the filming commenced and seemed to have a female minder with her at all times. He only discovered after the film was made that she was in a similar situation, again with Howard Hughes – and she married him shortly after this incident. Jean Peters married Howard Hughes in 1957 and A Man Called Peter was released in April 1955. The Eunice Gayson episode was in very early 1957, so in a way these two stories do have a link. Jean Peters was a very beautiful actress – and this is another angle on the story. In 1957, after her divorce , Jean Peters married Howard Hughes. Soon after that, he retreated from public view and became considered an eccentric recluse. The couple had met in the 1940s before she became a film actress. One source said said that Jean Peters was “the only woman [Hughes] ever loved.” He reportedly had his security officers follow her everywhere even when they were not in a relationship. The actor Max Showalter confirmed this, after becoming a close friend of Peters during shooting of Niagara (1953). In 2004, Showalter said in an interview that Hughes’ men had threatened to ruin his career if he did not leave her alone. 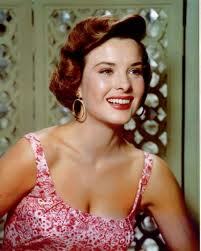 During her marriage, which lasted from 1957 to 1971, Jean Peters retired from acting and social events in Hollywood. Later in 1971, Peters married Stan Hough, an executive with 20th Century Fox. They were married until Hough’s death in 1990.